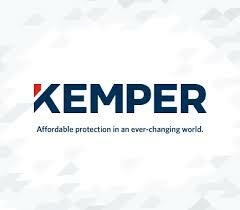 Kemper Corp (NYSE: KMPR) stock rose over 2.9% on Feb 11th, 2019 (as of 11:38 am GMT-5; Source: Google finance) after the company posted better than expected results for the fourth quarter of FY 18. Total Shareholders’ Equity at the end of the fourth quarter was $3,050.1 million, which is an increase of 44 percent, since year-end 2017 due to the acquisition of Infinity and net income. During the fourth quarter of 2018, Kemper repaid $215 million of the $250 million term loan facility that was used to facilitate the funding of the acquisition of Infinity. Kemper ended the quarter with cash and investments at the holding company of $100.6 million, and the $300 million revolving credit agreement was undrawn. During the fourth quarter of 2018, KMPR paid dividends of $15.6 million. Kemper has ended the fourth quarter with a book value per share of $47.10, which is an increase of 15 percent from $41.11 at the end of 2017. Book value per share excluding net unrealized gains on fixed maturities was $45.40, up 28 percent from $35.57 at the end of 2017, due to the Infinity acquisition and net income, partially offset by dividends paid to shareholders. KMPR has reported the net income of $6.5 million for the fourth quarter of 2018, compared to $36.9 million for the fourth quarter of 2017. KMPR in the fourth quarter of FY 18 has reported the adjusted earnings per share of 91 cents, beating the analysts’ estimates for the adjusted earnings per share of 72 cents. The company had reported the adjusted revenue growth of4 percent to $1.09 billion in the fourth quarter of FY 18, beating the analysts’ estimates for revenue of $1.01 billion. The revenue growth is driven by $101.3 million of higher Specialty earned premiums primarily from higher policies in-force, partially offset by $76.4 million of lower revenues from the decrease in the fair values of equity and convertible securities. Net investment income rose $8.7 million to $91.3 million in the fourth quarter of 2018, primarily from an $8.9 million increase in interest on fixed income securities and a $4.3 million increase in dividends on equity securities, partially offset by a $6.6 million reduction in net investment income on the alternative investments portfolio. Net realized investment gains were $16.4 million in the fourth quarter of 2018, compared to $11.5 million last year. Other income rose $0.9 million to $2.0 million in the fourth quarter of 2018.